How Can Psychotherapy Help with Anxiety Disorders? Anxiety is a type of emotional response most people have from time to time. In most situations, it is a good thing. It is an example of when your body is responding to challenging situations around you. Your heart speeds up and your mind sharpens. This can help you to get through a challenging event. However, in some people, the anxiety they suffer from occurs so often or to such a severe degree that it interferes with the quality of their life. More so, it can become debilitating. If you are suffering from severe anxiety, it may be time to seek out treatment including psychotherapy. An anxiety disorder is often described as an instance in which a person suffers from anxiety very often, to a severe degree, or in instances when there is not just cause for it. It’s important to realize that if you suffer from anxiety disorders, it is not always possible to simply stop worrying. Your brain and emotions do not let you. This is due to complex mechanisms in the brain. However, it is possible to gain control over anxiety disorders with the help of proper treatment. For many people, this is psychotherapy. Most people with anxiety disorders can see significant improvement in their symptoms by seeking out help from a trained mental health professional including a psychotherapist. These individuals can often recommend treatment options including cognitive behavior therapy. This type of therapy involves discussing the underlying causes, creating effective treatment plans, and developing coping skills. You’ll learn to understand your thoughts, whey they are occurring, and how to manage them. This can help you to reduce the reaction you have and the limitations that anxiety can create for you. It can be one of the most effective ways to learn how to live with anxiety. There is no cure for anxiety disorders. However, most people can see marked improvement in their mental health with supportive care and treatment with psychotherapy. Work closely with your therapist to better understand how you feel, why you feel it, and how you can cope with it and you may see a significant improvement in your quality of life and everyday successes. With the help of a professional, you could see significant improvement. 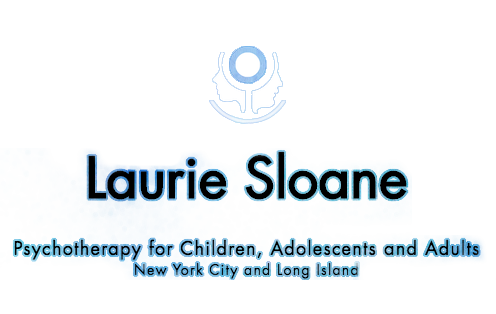 Call our offices to schedule a consultation with one of the best psychotherapists in New York. ← What Is Psychotherapy? What Type of Conditions Are Covered?